Francis Iacobellis, M.D. has thirty-six years of experience in private practice in New York City, where he treats a wide range of skin disorders from psoriasis, acne, and skin cancer to all aspects of skin aging. He was one of the first Doctors to use filling materials for wrinkles, appearing on the Phil Donahue show in 1989 and giving a live demonstration in front of 10 million viewers. 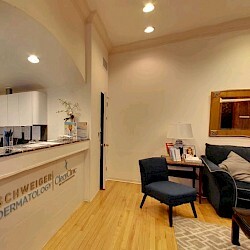 Dr. Iacobellis lectures nationally and internationally on lasers, cosmetics, psoriasis, rosacea and eczema. 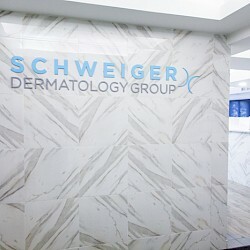 As a Clinical Professor of Dermatology at New York Presbyterian Hospital, he has educated many dermatology residents, as well as a number of physicians while serving in the Navy at Bethesda Naval Hospital. He uses these same skills as a dermatologist, making sure that each patient is treated equally, and comes away with a proper understanding of his or her problem. Dr. Iacobellis is a graduate of Holy Cross College, Columbia College of Physicians and Surgeons, and Cornell Medical Center. He has two children, Colette and Christian, and two grandchildren, Charlotte and Curran. He is a private pilot with an instrument rating, and also flies radio-controlled model airplanes in aerobatic competition. His favorite New York City experience is spending a day at the Metropolitan Museum of Art.